Insomnia is a sleep condition which can affect your health and well-being – especially as you age. Aging causes many hormonal and lifestyle changes which cause you to wake up earlier or not sleep as well as you once did. Is Insomnia a Normal Part of Aging? Insomnia, however, is not a normal part of the aging process and should be addressed as soon as you notice the condition. Sleep is vitally important to seniors to keep healthy, both in body and mental acuity and a lack of it shouldn’t be shrugged off as unimportant. Ridding your lifestyle of bad habits is one way to combat insomnia and move toward getting the quality sleep you need. One bad habit is going to bed with thoughts of anxiety or worry. Stress about experiences or happenings in your life can greatly affect your sleep patterns. You may be taking certain medications that cause lack of sleep and can progress into full blow insomnia. Inform your health care provider if you suspect that medications may be causing your insomnia. Lack of exercise and a poor diet may exacerbate sleeplessness. Also, eating (or exercising) just before bedtime can keep you awake. Try to finish both exercising and dining from two to four hours before you turn in at night. 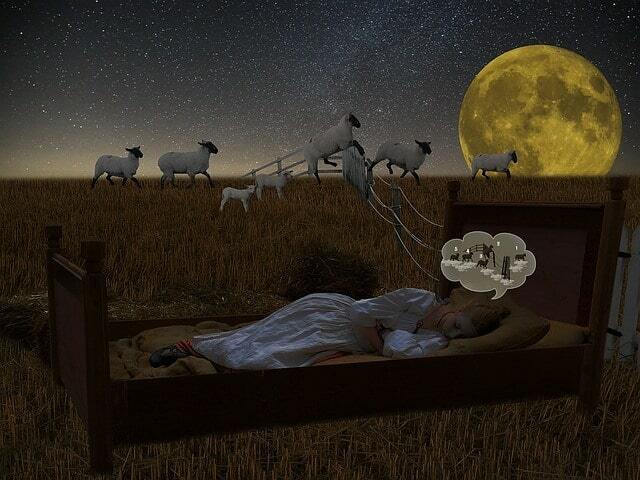 Sleeping environment can also be a factor in bouts with insomnia. If you sleep with a pet, a heavy snorer (or someone with sleep apnea) or have a television or gaming device in your bedroom, it may contribute to your lack of sleep. Improve your daytime activities and habits to promote better sleep at night. Engaging in social activities with family and friends is a relaxing way to spend a day and prepare your body for the sleep it needs. Also, do things which improve your mood and promote a positive outlook on life. Helping others is always a good way to help you see how fortunate you are compared to others and to boost your self-esteem. Sunlight is important to regulating melatonin in your body (the chemical which helps you sleep). Keep blinds and shades open during the day and venture outside to promote your dose of sun. If you know you’re not getting enough sun, think about getting a light box to provide the therapy you’re not getting on your own. Caffeine, smoking and alcohol should be stopped or drastically reduced – especially if you suspect they’re interfering with healthy sleep patterns or the quality of your sleep. Quality of sleep is a good indication of your overall health. Be sure you get enough.